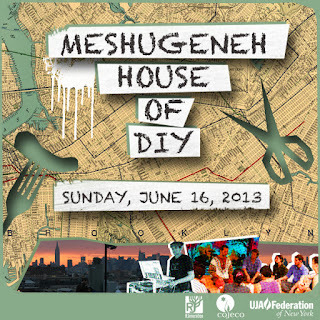 On Sunday, June 16, 2013 the Russian Jewish community of NY will come together for Meshugeneh House of DIY - an exhilarating day of 25+ hands-on workshops, food, and music on a stunning Williamsburg rooftop. The Jewish Art Salon is a partner in this event, and JAS president Yona Verwer will be conducting an amulet painting workshop. 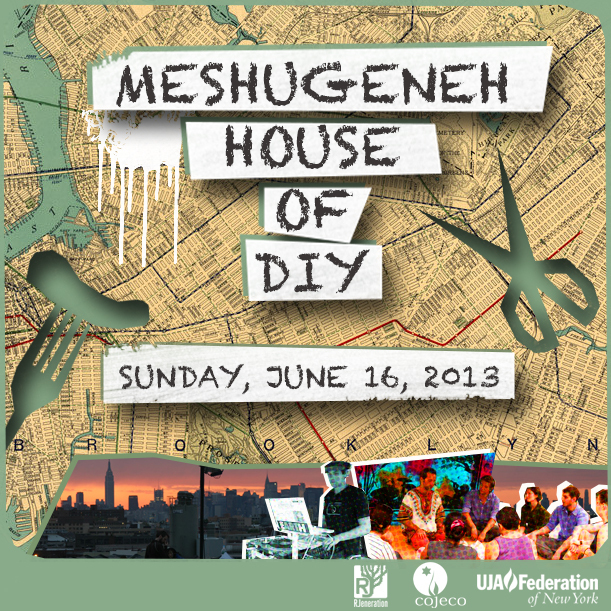 Meshugeneh DIY celebrates the do-it-yourself ethos of generations past, as workshops include making your own sauerkraut, cheese, pickles, and vodka infusions, but also modern day pursuits like urban farming, meditation, genetic testing, jewelry making, massage, drumming, and tantra, showcasing the full spectrum and range of today’s Russian Jewish community. The first meshugeneh (“crazy” in Yiddish) festival, attracted more than 250 people from every borough of NYC: the intellectuals, the hipsters, the artists, the programmers, and everyone in between. “The vibe was unbelievable! Instead of just making small talk, people can do projects together, teach and learn from each other. I think this is the way!” says Igor Shorman, a DJ at last year's event. The cost of admission includes a full day of workshops, 5 tracks running concurrently from 1:30 to 6:30pm every hour, as well as an evening of DJ-spun music, video art, and dancing under the stars. Local vendors will be selling food and drinks throughout the day, with heartier fare and cultural favorites, like borsch, in the evening.